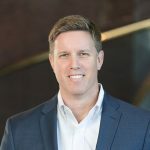 Josh Beyer, P.E., serves as Senior Vice President of Development at The Sembler Company, overseeing all of the company’s shopping center development in the southeastern United States. Beyer has been with the company for more than 15 years, and in that time, has been involved with more than 1.5 million square feet of development – and counting. Beyer has led the development and redevelopment of some of Sembler’s most successful shopping center projects, as well as more than fifty single-tenant, build-to-suit projects from Florida to New York. His team’s active project pipeline is just as robust, with developments in varying stages of progress in Florida, Alabama, Georgia, North Carolina and throughout the southeastern U.S.
Before joining Sembler in 2002, Beyer served as a Project Manager/Engineer for EMK Consultants of Florida, Inc. (a Tampa-based engineering firm), and as Project Manager/Engineer for Greenville, South Carolina’s Freeland & Kauffman, Inc.
Beyer holds a Bachelor of Science degree in Civil Engineering from Clemson University and is a registered professional engineer in the State of Florida.